London Black Cab from Central London to Southampton should take roughly 90 mintues. Besides giving a first class transfer service, we also like to provide some information aboout your destinations. In 1840 the 1st P&O passenger vessel set sail into Southampton, marking the start of what was to become the cruise capital here in the UK. 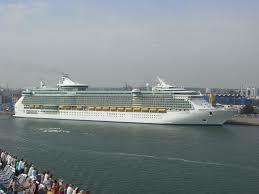 Today sees increasing numbers of ships, calling into Southampton, and serving 1.7 million passengers in 2015 alone. There are actually four dedicated cruise terminals here at Southampton and they play host to a variety of cruise lines – including Cunard , AIDA, P&O Cruises, Princess, , Royal Caribbean, Celebrity, Carnival Cruise Line, MSC, and Fred Olsen. 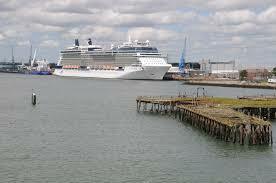 Associated British Ports (DHB) have so far invested over £40 million into these four dedicated cruise terminals. No confusing restrictions on hand baggage, unlimited cabin baggage and your holiday starts as soon as you arrive. We can take you to a hotel before you set sail, or we can go directly to the port. Contact Michael on +44 (0) 7846 574174 or email bookings@corporateblackcabs.co.uk.